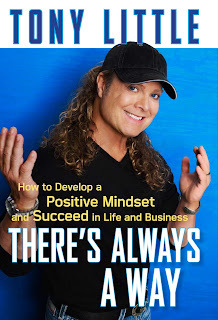 Fitness expert, Tony Little, one of the most financially successful figures to ever appear on television, has hit the literary world with his newly published motivational book, “There’s Always a Way” (John Wiley & Sons, Inc.). The ponytailed superstar, famous for his shouts of “You can do it!” has built an empire over the past 20+ years, selling over $3 billion worth of products worldwide, with more than 40 million people owning a product bearing his name. Tony’s new book reveals his very personal story of growing up in poverty, his numerous brushes with death and disaster over the years — and the triumphs and successes that came from never giving up. Along the way, he’s also inspired millions to get in shape and live healthier lives. Sharing numerous never-before-revealed hilarious, horrific and uplifting (sometimes all at once!) anecdotes from his life, Tonyâ€™s book could not be timelier, given the current economic and social climate. As a young adult in the early 1990s, I remember seeing Tony Little on TV – a lot! I remember thinking he was really cute and very charismatic – with his long hair and his personable patter on the television, I found myself intrigued by him because I’d never seen someone who seemed to exude so much energy and charm while still appearing to be candid and honest! 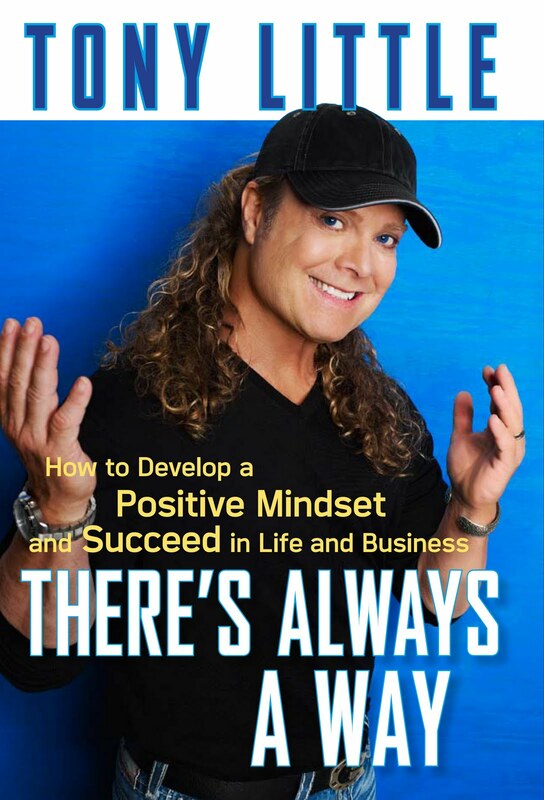 I must admit, I hadn’t thought of Tony in many years until I found myself reading his book, There’s Always a Way: How to Develop a Positive Mindset and Succeed in Business and Life. I was really interested in reading this book because, as soon as I saw Tony’s face on the cover, I remembered his positive energy and enthusiasm on television and I was interested to read about his life and passions. I was amazed at the number of incidents Tony had to overcome in his childhood. I had no idea about the incidents in his youth before reading this book but I could envision all of the antics he described. I cringed when I read about his car being hit by a drunk driver and I was amazed at how he overcame such a horrific accident! I also really like Tony’s tenacity and positive thinking – I loved the story of how he completed his first infomercial (which I actually remember watching!) after having suffered extensive facial injuries due to another car accident! I also found his stories about his interactions with others, particularly his experience with Anna Nicole Smith, to be interesting and insightful! Tony talks at great lengths about how he, and others, have faced adversity and have used positive thinking, and positive actions, to promote, redefine and market themselves, and what they believe in, as a brand. As I was reading, I found myself thinking about how I could apply Tony’s message to my work and to my life. Though I don’t work in a field where I have to sell items in a traditional way, there are a lot of ways in which his ideas can be incorporated into what I do every day. Tony’s ideas were so inspirational that I found myself having to stop numerous times, open a word processing document and jot down ideas of how I could take what Tony had written and apply it to my work. I can honestly say I’ve never done that before because I’ve never read a book like this one that has inspired me in this way! I also loved the quotes and the photos included in Tony’s book. I found myself marking the quotes that I wanted to share with family and friends and smiling to myself as I saw Tony’s transformation and the beautiful photos of his family! I wholeheartedly recommend Tony’s book to anyone who is interested in being inspired! You may also want to check out his website: http://tonylittle.com/ to read some inspirational success stories and check out the products Tony is promoting (I think the Tony Little bobblehead is really cute and I’m already trying to decide what colour of Fit Body Walker shoes I’d want to get! ).